Home Support Services (HSS) has been fortunate enough to purchase St Joseph’s Refuge (82 Wattle Street Fullarton). HSS is an industry leader in Home Healthcare with over 25 years of experience caring for South Australians in their homes. We are delighted to be the new custodians of this magnificent building. 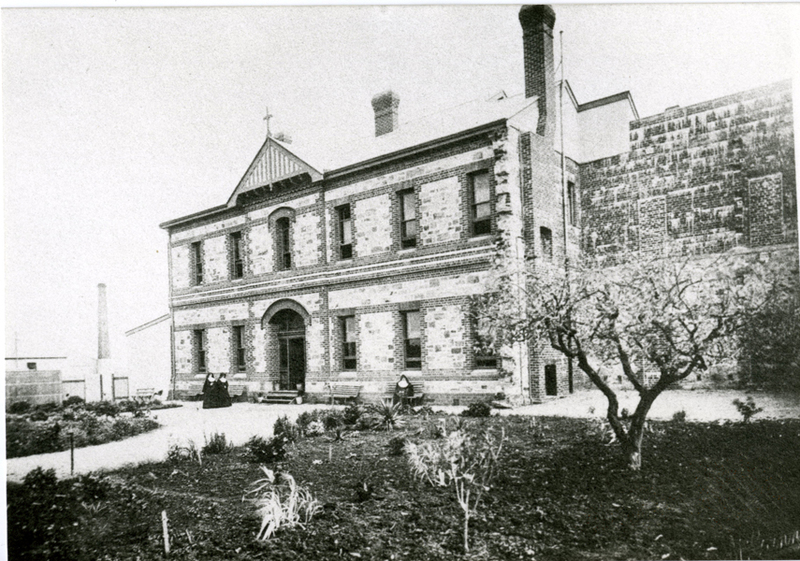 We are also dedicated to restoring St Joseph’s to its original grandeur and at the same time re-establishing this building’s community value as a place that coordinates care to South Australians in need. Works are currently underway on phase one of the restoration which will see the ground floor and external grounds restored. This stage is planned for completion at the end of August 2016, allowing the HSS Head Office to be relocated from it’s current location on the corner of Glen Osmond and Fullarton Road. The Sisters of St. Joseph constructed St. Joseph’s Refuge on the land originally known as the Fullarton Jam Factory, which stood on 11 acres of ground on the corner of Fullarton Road and Wattle Street. The current building was opened by Lady Tennyson, wife of the Rt. Hon. Hallan Baron Tennyson, K.C.M.G., Governor of South Australia, on Saturday, 22nd September, 1901. Amongst the Sisters of St. Joseph in the official party was Mother Mary of the Cross (Mary MacKillop), their founder. Over the early years the Refuge served unmarried mothers, women requiring short or long term residential care, deserted wives and their children, and girls in need of protective care. HSS would like to carry on the tradition this proud building has of caring for people in the community. In addition to housing our Care Coordination Centre, a small number of clients in need will have the opportunity to recover and be cared for overnight under the St Joseph’s roof following hospital treatment elsewhere. St Joseph’s Refuge will play it’s part once more in looking after thousands of South Australians.